A motivational freebie for you! We all have excuses don’t we? Even though we don’t like to admit it. Usually it’s not enough time, we aren’t talented enough, we lack knowledge, someone out there has already done it, … do I need to keep going? You already know what your excuses are. Going forward, let’s choose to ignore them! Download this free iPhone wallpaper, look at it everyday and decide. What am I going to GO FOR today? Tomorrow? The next day? Am I going to let my excuses or my fears get the best of me? You are in control of your life and what you make of it. 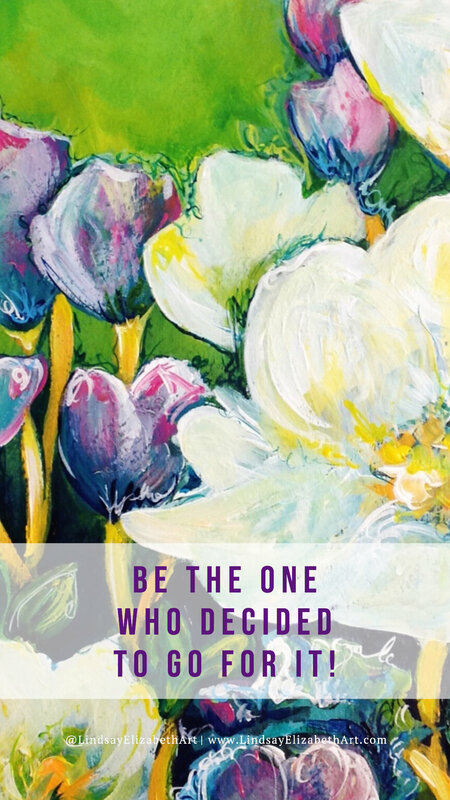 BE THE ONE WHO DECIDED TO GO FOR IT! Click and hold to save to your photos. *Feel free to share this post with a friend so they can save this freebie as well.